How Long Will The Lifespan TR3000i Last? As we have discussed, the LifeSpan name carries a little more weight than some of the more common brands. Typically, when products are not produced on mass scales, better attention to detail can be achieved. This may spill over into the durability of this treadmill. Still, the build and quality of the TR3000i are likely to stand up to moderate jogging and maybe light running. A word to the wise, setting a cleaning routine and being sure to take care of your treadmill will always promote better life out of your investment. Our Second Place 2019 Best Buy winner for the $1,000 to $1,299-dollar category has proved to be a respectable machine with a sturdy build and reasonable warranty. LifeSpan's TR3000i may be lacking in a few features but overall, this is a decent treadmill for the price and would suit a light to moderate exerciser just fine. We will discuss the aspects of the TR3000i that we like and dislike. But first, let’s go over the more standard features. To start, you may see LifeSpan advertising the TR3000i’s EZfold assisted folding. Much like most of the other treadmills that are under $2,500 dollars, the TR3000i is a folding treadmill. The EZfold is just LifeSpan’s frilly way of saying so. One thing that LifeSpan did not assign a creative, marketing-saturated title to is the full-steel frame. Not all of the treadmill companies on the market build their treadmills with good quality parts. But, as you can see, the TR3000i is just another LifeSpan treadmill that has a solid, steel frame. Though you may overlook the full-steel frame, it is certainly a good feature that adds to the durability of the TR3000i. But, of course, there are a few features that are made to seem more than they are. Take Integrated Bluetooth, for instance. LifeSpan has not included web-capable programming like many of the Icon brand treadmills. They did, however, allow the TR3000i treadmill to have Bluetooth capability. Hopefully, we do not have to explain that Bluetooth is far less complicated than internet connectivity. So, is the TR3000i’s Bluetooth a bad feature? No. But, it is not as valuable as some of the other brands’ programming. With that said, we would like to refute the TR3000i’s seemingly unintelligent programming by adding that LifeSpan has developed their own workout data tracking app that can communicate with a LifeSpan treadmill via Bluetooth. Other brands usually do have partner programs, but you usually have to pay a monthly fee. LifeSpan does not require such a monthly subscription. Rather, LifeSpan has helped make your workout data free and more accessible. A few good qualities of the TR3000i include a sturdy build and a somewhat standard warranty. To start with the build, we mentioned the full-steel frame above which is something that should be again noted. Most companies do not use the best products, especially on their more affordable models. It’s no wonder that LifeSpan has such a good reputation; as we can see with the TR3000i, they are committed to building their treadmills with good materials. Additionally, when we take the TR3000i treadmill’s motor capacity, weight limit, and unit weight into account, we notice that the TR3000i also has a balanced motor and structural build. We also have taken LifeSpan’s good reputation into account. With each factor, we find that the TR3000i is likely to have a very durable structure that is sure to hold up well for quite some time. This machine is backed by a five-year parts and one-year labor warranty; while this is not the most extensive warranty among our 2019 Best Buys, it is a good warranty for this price range. One thing to keep in mind is the kind of warranty that is included with different brands. You can order a pizza from Dominos or a bistro in the Italian village of Chicago. They may both be pepperoni, but one is going to be made up of better ingredients and with more care. Likewise, the LifeSpan name carries a little more weight than some. LifeSpan is a smaller company and does not produce their treadmills on a mass scale like some of the other brands. With this, the customer service and technicians are smaller scale and have been known to provide quality service. Thus, this warranty may not have as many years tacked on as others, but it is backed by a quality service department. LifeSpan has also stuck with their signature sleekness in regards to the aesthetics of this treadmill. They typically produce light, sturdy machines that do not include unneeded parts. If you like a slim design, then this treadmill will fit that bill. The qualities that we are not too thrilled with start with the lack of workout programs. The TR3000i has nearly half the amount of other treadmills in this price range. Secondly, the walking area is a total of six inches smaller than the others. Interestingly enough, the 20 x 56-inch belt is actually smaller than some of the treadmills under $1,000. While this is consistent with LifeSpan's tendency to produce sleeker machines, you may not appreciate the lack of wiggle room. Thus, it may be a good idea to test out a few machines before purchasing to be sure that you are comfortable with the narrower walking area. Heart Rate Sensor and Type Contact heart rate sensors and chest strap receiver (chest strap not included). Throughout the years, we have noted that we have not liked the price jumps that LifeSpan has added to the TR3000i. 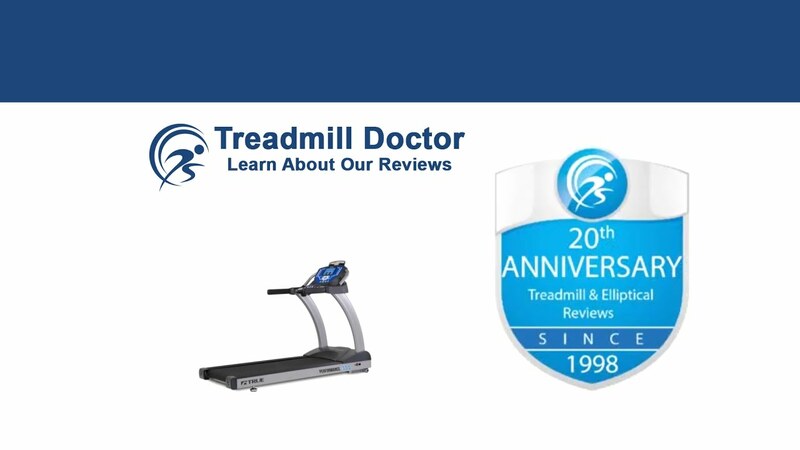 We have noticed the warranty that has come with this treadmill but have not ranked it as the best warranty. We have liked the attractive design and fit-and-finish quality but have noticed that other brands are equipping their treadmills with more features for the same price. The Second Place 2019 Best Buy winner in the $1,000 to $1,299 dollar category is equipped with a sturdy build and appealing design. While the TR3000i’s warranty is not the best in this price range, it is important to keep in mind the culture of service that is behind the warranty. We would recommend this treadmill for a moderate jogger and the once in a while runner.